Around 150 years ago the Miao tribal people of China were converted to Christianity by British evangelists (one of them being Hudson Taylor). In 2009 we were able to bring the Message of the Hour to them, which they received gladly! An elder in the Miao tribe, named Brother Zhu, received the Message and was very eager to share It with his own people. He saw that the Holy Spirit was in It; the Word gave him a revival and restored his first love. Brother Zhu believed It could give the same experience to his own people and thus, he started to preach the Message to the Miao People. 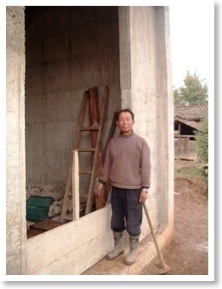 Because most of the people in the tribe don’t have access to computers, loud speakers or light in their homes, Brother Zhu recognized that a church building was needed in order to provide a central place to listen and read the Message, and took the burden upon himself to begin building one. The building was finished by his three sons; with the help of Brother David who is from the northern part of China. Brother Zhu was encouraged to translate the Message into their native language to help It reach more people than he could reach by himself. 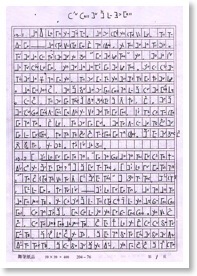 And thus, he started to translate the Message into Hmong, the language of the Miao people. Brother Zhu and his team finished translating the Bible and a couple of song books into Hmong in 2009. Now with the help of the same team, he has finished translating Brother Branham’s Message, My Life Story. Praise God! 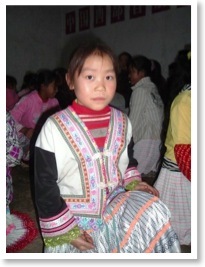 Lord willing, in 2011 Bible Believers plans to assist and support the Miao people to translate, proofread, format, and upload onto the Message Hub themselves. Then the Message can reach all the Hmong speaking people around the world! It was recently discovered that there are 496 locations in 70 Chinese cities that are downloading Messages from the Hub! The speed and the method our Lord Jesus is using to spread this Message is very mysterious, and working wonders amongst His people! Thank you for your prayers and support, so that this desire of the Lord can become a reality. May God bless you richly!